As the year draws to a close, there’s no better time to reflect on your business and consider your business goals for the year ahead. 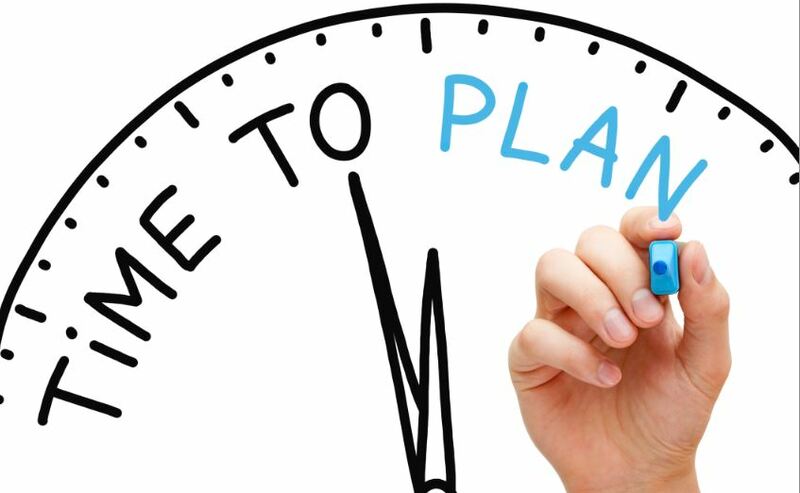 This is part 1 of a 2-part blog series on the topic of annual strategic planning. Running a business is hectic. It’s easy to get bogged down in the day-to-day operations, and then find you have no time left to plan for the upcoming year. But, investing some time in developing an annual strategic plan that communicates your business’ goals and actions for the next year can really help take your business to the next level. This week, we’re exploring the benefits of implementing an annual strategic planning process in your small business. In our business accelerator classes, we talk about the business plan as a roadmap. On any journey, you might look at where you are versus the map from time to time to see where you’ve been, where you want to go, and determine the optimal route to get there. An annual strategic planning process is that check for your business journey. It allows you to step back and objectively look at what happened – what worked, what didn’t work, and why—and reevaluate goals and action plans. When you first started your business, you might have drafted mission, vision, and values statements. Managing the details of daily operations can cause us to lose sight of our purpose. An annual strategic planning process is designed to help you reconnect with your business’ mission, vision, and values, and develop goals and plans aligned with your business’ purpose. Through an annual strategic planning process, you establish a clear set of goals for your business over the next year. You identify what success looks like. And, you can prioritize your activities and focus your resources to achieve success. Also, by setting priorities, you set boundaries that make it easier for you to say no to potentially distracting activities, like taking on a contract from a client that isn’t aligned with your values or developing new product or service features that aren’t part of your roadmap. You might have a strategy in your head. But, how do the people working with you know what that strategy is? By putting your thoughts on paper through an annual strategic planning process, you have a document you can share with current and future team members, partners, and other important stakeholders. And when your stakeholders know where the business is heading, you allow greater opportunities for them to help you get there. If you’re looking for support on developing the annual strategic plan for small business or startup, you may be interested in our Building Operating Capacity module in Oakland. If you’ve enjoyed this post, check back next week for part 2 when we’ll cover how to create an annual strategic plan for your business. I truly understand the step back and objectively look at what happened…..We had expectations to do our LandCorps by August and because of the slow smoth, we are now having to alter our plans. So yes we are re-evaluating: what worked, what didn’t work, and why—and reevaluate goals and action plans. Glad to have this as a reminder. Another important piece is are setting boundaries that make it easier for us to say no to potentially distracting activities, like taking on a contract (because we need the money for start up) from a possible client that isn’t aligned with your values or developing new product or service features that aren’t part of your roadmap. We are wanting to just build revenue for our retreat to complete some of the next phases before a start up date.